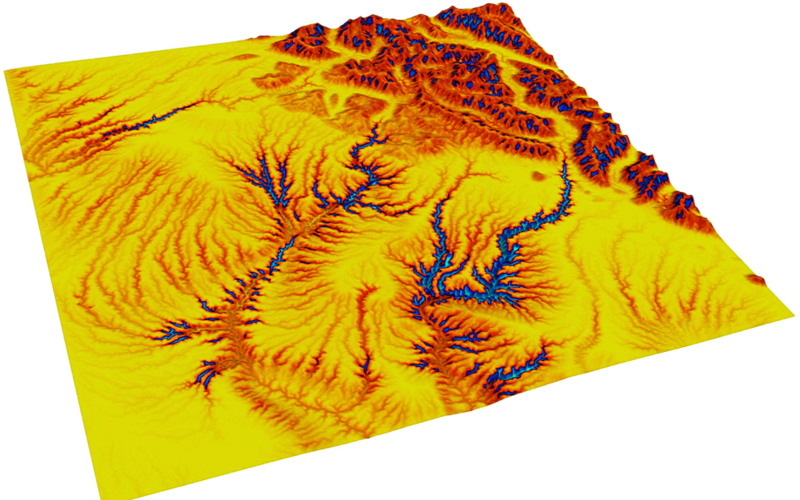 Basin and Landscape Dynamics (Badlands) is a parallel TIN-based landscape evolution model, built to simulate topography development at various space and time scales. The model is capable of simulating hillslope processes (linear & non-lineardiffusion), fluvial incision (‘modified’ Stream Power Law, Transport Capacity Law both for sediment erosion/transport/deposition), spatially and temporally varying geodynamic (horizontal + vertical displacements) and climatic forces which can be used to simulate changes in base level, as well as effects of climate changes or sea-level fluctuations. The model uses gFlex package which is designed to solve elastic plate flexure for applications to Earth’s lithosphere. For installation information and documentation visit our github wiki page which provides several useful notes on how to start using the tool. The easiest way to get started is with the Docker container using Kitematic. Once Kitematic is installed on your computer, open it and look for pybadlands-demo via the search menu. If you want to install it yourself, these 2 Dockerfiles (dependencies & code) are the best documentation of the required packages. 3D surface deformations using the node refinement technique proposed by Thieulot et al. ( 2014). 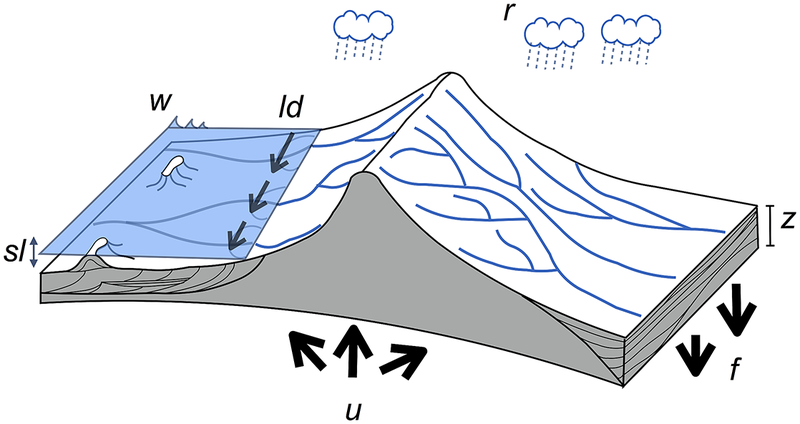 Orographic precipitation using Smith & Barstad (2004) linear model to compute topographic induced rain field. Varying erodibility layers (both horizontally and vertically) to simulate impact of changing sediment characteristics on landscape evolution. Long-term evolution of longshore currents and induced sediment transport is simulated based on linear wave theory. Fuzzy logic approach is used to estimate carbonate growth based on depth, wave energy and sedimentation rate. A set of functions for pre & post-processing of Badlands inputs and outputs is available in a GitHub Companion repository which is already shipped with the Badlands Docker container. You should have received a copy of the GNU Lesser General Public License along with this program. If not, see http://www.gnu.org/licenses/lgpl-3.0.en.html. Release 1: badlands-model/pyBadlands, Zenodo, doi:10.5281/zenodo.160412, 2016. Release 1.1: badlands-model/pyBadlands, Zenodo, doi:10.5281/zenodo.268053, 2017. Release 2: badlands-model/pyBadlands, Zenodo, doi:10.5281/zenodo.1069573, 2018. The master branch is a stable version of the code with the most recent developments embedded. 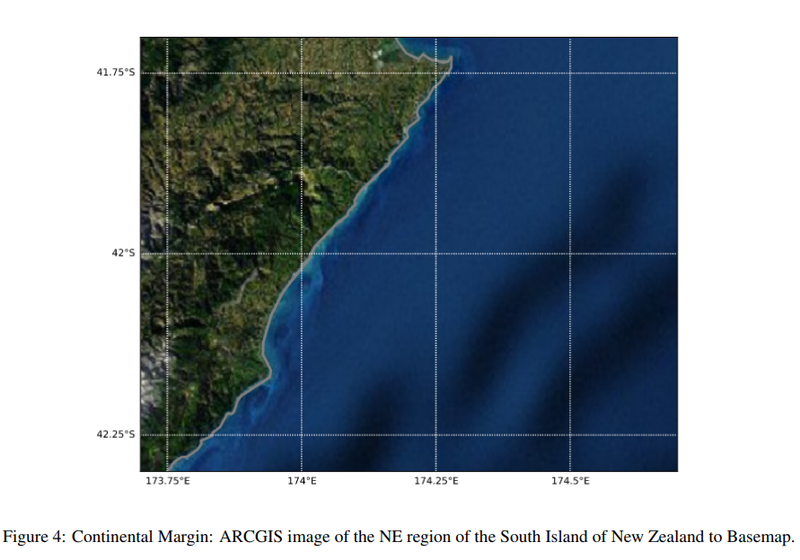 Salles, T. & Hardiman, L.: Badlands: An open-source, flexible and parallel framework to study landscape dynamics, Computers & Geosciences, 91, 77-89, doi:10.1016/j.cageo.2016.03.011, 2016. Salles, T.: Badlands: A parallel basin and landscape dynamics model, SoftwareX, 5, 195–202, doi:10.1016/j.softx.2016.08.005, 2016. 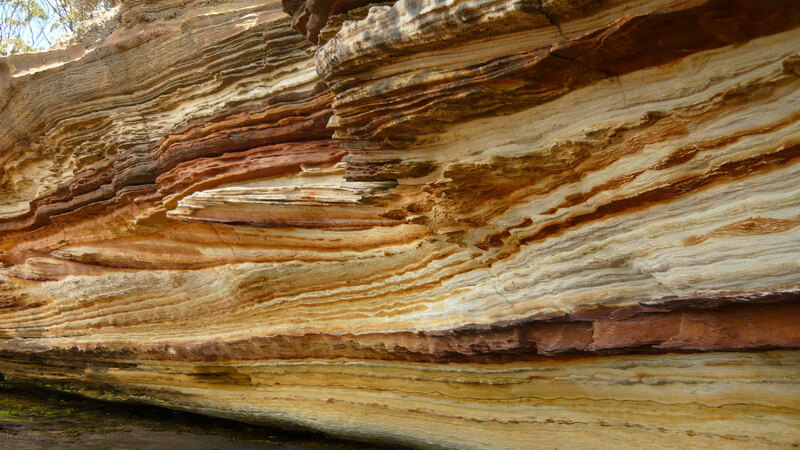 Salles, T., Ding, X. and Brocard, G.: pyBadlands: A framework to simulate sediment transport, landscape dynamics and basin stratigraphic evolution through space and time, PLOS ONE 13(4): e0195557, 2018. When you use Badlands, please cite the above papers.